Happy Wednesday, friends! So...things have been busy around here lately! This past weekend I sang in a wedding (first time performing in awhile) and we had my husband's 10 year college reunion. It was our first time out together without Logan. We had a blast, but it's funny how much I missed him! Ha. Anyway, it's been hard to find the time to blog lately (#momlife). I did do a little shopping recently though and I'm excited to share this casual chic fall outfit with you all! I went to the mall last week (for the first time in FOREVER) and shopped in the GAP. I haven't been in a GAP store in SO long. They really have cute things right now (and for babies)! I was so excited to find these wine colored jeggings on sale. 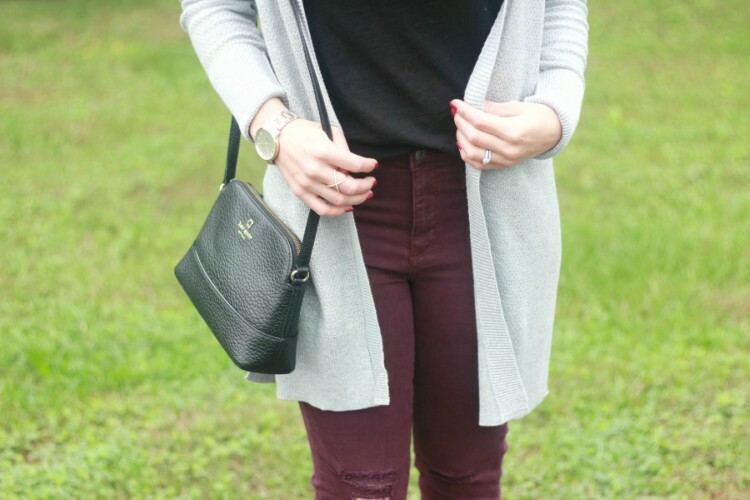 I've been wanting burgundy colored jeans for awhile and these are perfect! I love the slightly distressed knees and the ankle length. Here's the best part...they are on sale for $29.97 with an extra 40% off (code SWEET)! They also come in a gorgeous olive color. 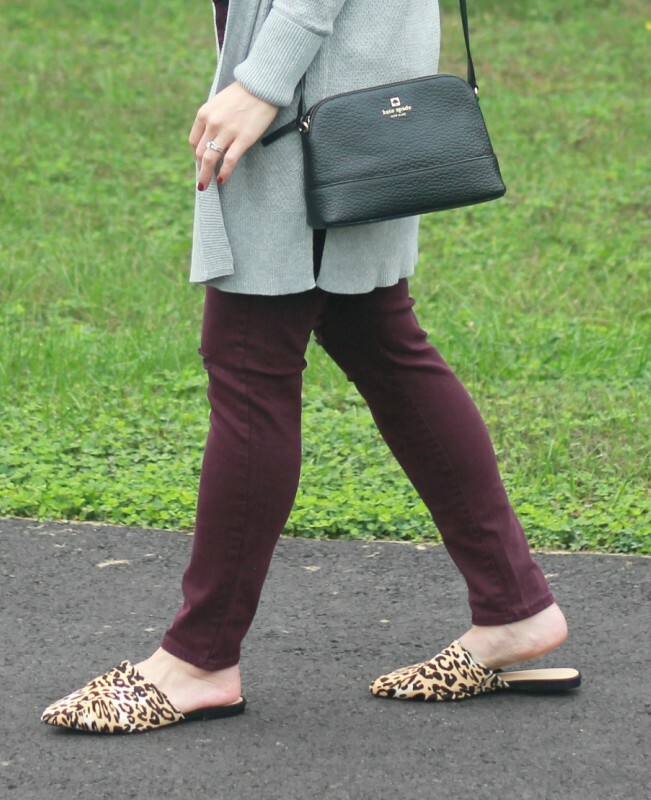 I finally jumped on the mule trend and bought this leopard pair! 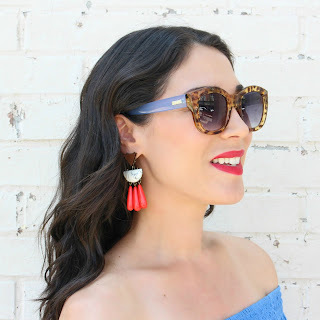 I've been shopping around for awhile and I ordered these after seeing them on another blogger. I love the scalloped detail and the girly flare it gives the shoe. They are pricey but absolutely gorgeous if you're willing to splurge. If not, Forever 21 has a similar pair for only $14! FYI, if you are in between sizes, definitely size up in mules.